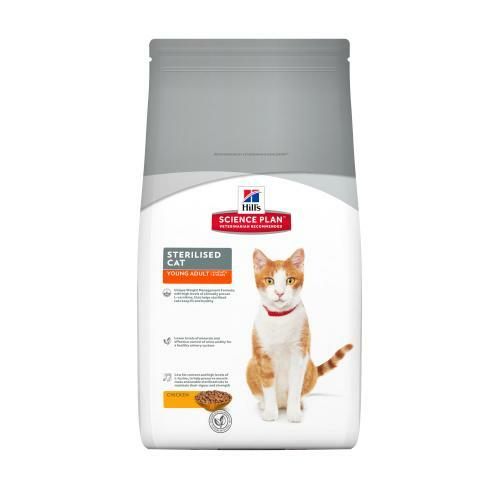 Hills Science Plan Sterilised Cat Young Adult Chicken is tailored to meet the needs of sterilised cats. Formulated with clinically proven antioxidants and a unique weight management formula. Tuna (8%): Maize, poultry meat meal, maize gluten meal, tuna meal, animal fat, digest, fish oil, flaxseed, potassium chloride, salt, brewers rice, calcium carbonate.